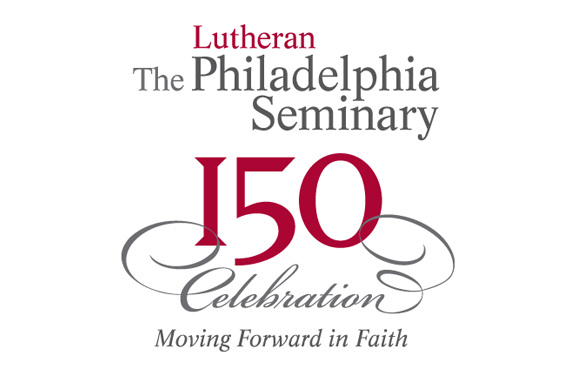 The opening week of The Lutheran Theological Seminary at Philadelphia’s (LTSP) 150th anniversary year featured an inspirational sermon August 25 on the importance of “community” and a welcome and sermon with a leadership focus August 27 from the school’s new president, the Rev. Dr. David J. Lose. A historical highlight was the August 25 opening convocation depiction of the seminary’s early history by the Rev. 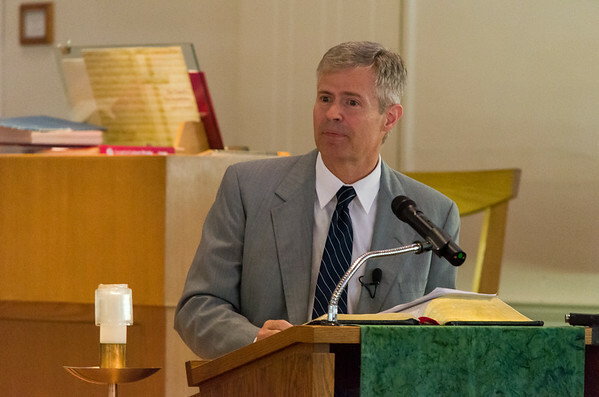 Dr. Karl Krueger, Professor of the History of Christianity and Director of the Krauth Memorial Library. In his inaugural sermon as president of LTSP in the Schaeffer-Ashmead Chapel, Lose preached on Peter’s great confession in the Gospel of Matthew (16:13-20), and addressed seminarians and others about the challenges for today’s church leaders. Referring to the Matthew passages, Lose points out that “Peter has absolutely no idea what he’s saying. And it is, of course, a great confession … Jesus praises it as divinely inspired. We don’t know whether it had been brewing in him for some time and only needed Jesus’ question to bring it forth or whether it came to him in a flash of divinely guided insight. We don’t exactly know precisely what Peter means by naming Jesus’ ‘Messiah,’ either, although we suspect it has as much or more of a political overtone as it did religious. We don’t know, even, if Peter spoke for all the disciples or voiced only his own conviction. Lose said that Peter’s circumstances were not all that unusual in what he termed a “hero’s quest … The hero, whether in ancient or modern literature typically comes from humble origins, whether a fisherman from a seaside village in Capernaum or an orphan raised by a muggle family in London. The hero is called to something greater than he or she had imagined, falters at a critical juncture, loses a significant mentor, but ultimately comes into his or her own, assuming leadership and ultimately prevailing in the struggle between good and evil. And often there is a defining moment in the hero’s development where the hero declares his or her loyalty and thereby reveals his or her character to the cause, signs on for the quest. Lose asked the seminarians if they had ever imagined their time at seminary as part of a larger journey, “as part, even, of a hero’s quest? You too will have the opportunity, even the expectation, to make confessions of faith, to offer bold declarations of your convictions. And, you too will often not understand what you are saying. Lose then drew a contrast between his seminary days and the challenge before seminarians today. “A generation ago — back when I went to seminary, the task was, if not easier, at least more straightforward,” Lose said. “You might say the primary objective and outcome of seminary was to help students answer Jesus’ question — ‘Who do you say that I am?’ — so that they — we — could then go on to confess that belief publicly through our service and leadership in the church. “Now the challenge is a bit more complex,” Lose went on. “Certainly we hope while you are here you will develop a greater understanding of the church’s confessions and greater competence in professing those confessions. But we also recognize that your primary responsibility is no longer to confess the faith publicly before and on behalf of the people of God, but rather to help them answer Jesus’ question for themselves, to help them, that is, confess their faith, not only through the words of the Creed on Sunday, but also through their lives every day of the week in their homes, at work, in their schools and places of volunteering. “For years the mark of competent leadership in the church has been to measure how well the professional performs the central tasks of the Christian faith: understanding the Bible, connecting the biblical story to our life story, sharing our faith, working for God’s peace and justice in the world … The classic understanding of a good pastor is the one who can teach and preach so as to enlighten us, even dazzle us with how these ancient texts connect to our daily lives. Lose concluded by noting the one Peter confesses as Messiah and Lord reveals his power in vulnerability, “exercises his authority through service, and leaves behind not a legacy of conquest but rather a community of believers. So also, then, Christian leaders in congregations and public and private institutions are called not to the hero’s quest of individual accomplishment, but rather to the disciple’s quest of nurturing a community, of equipping the saints for witness and service, and of following our Lord in caring for all people as fellow children of God. “What has made this seminary work through history is that it is made up of a collection of individuals with a common goal,” said the Rev. Dr. Katie Day, the Charles A. Schieren Professor of Church and Society and director of the Metropolitan/Urban Concentration at the school. Her message was part of the opening day Service of the Word in the Schaeffer-Ashmead Memorial Chapel. Along the way she made frequent references to a lesson for the day from 1 Corinthians 12:27-31a. “The Apostle Paul was addressing a newly emerging movement that could have fallen into chaos and fizzled,” Day said. But believers with different roles and functions had come together. “Everyone has a role to play,” she said. “We are each talented. We need each other. We are interdependent in a way that makes the whole greater than the sum of the parts. We are woven together into the body of Christ. “This is your first act of community,” Day said, noting that all gathered had come together with some anxiety, but also high hopes for the future. “Some faces you don’t know yet, but you know we are all brothers and sisters in Christ with faces you will come to know as you share new experiences and ideas and become friends and colleagues over time. Day said the school’s learners have received a call to serve God, but it is not their only call. 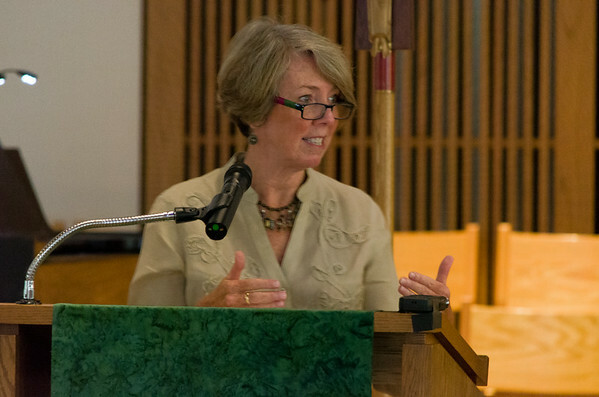 “You have another call to this community with a challenge to figure out what that means this year and in this place.” She said LTSP is not a monastery, that it consists of Lutherans, Baptists, Presbyterians, Methodists, members of the Church of God in Christ, and others, all of whom have come from a place of community but are challenged to continue to explore what it means to be part of a much bigger community — in Mt. Airy, Philadelphia, and beyond into the global context. “Being part of Mt. Airy and Philadelphia matters in this place,” she said. Krueger, in his opening convocation remarks, traced the seminary’s roots to Henry Melchior Muhlenberg, the son of a shoemaking family who made his way through schooling in Germany to a point where he became primed for a mission effort in Pennsylvania, where three congregations had agreed to pay him as pastor. (To get the full impact of Krueger’s evocative style of teaching and entertaining his listeners, check out the full remarks in the video below). 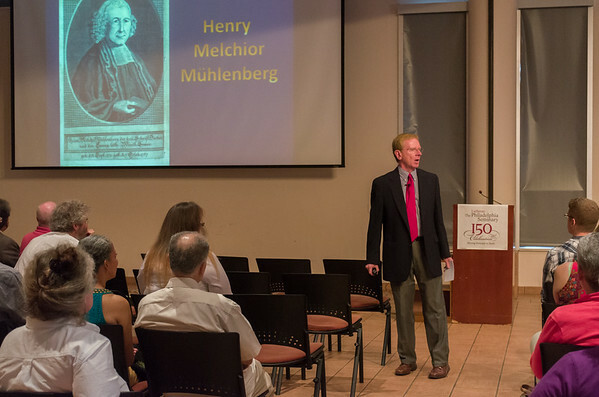 Muhlenberg always saw the creation of a seminary as essential for training church leaders. A fledgling attempt died with the arrival of the American Revolution n the 1770s. Gettysburg Seminary, which predated LTSP, was having trouble “keeping up” with the need for pastors to serve a dramatic influx of German-speaking peoples into the colonies. Samuel Simon Schmucker, a linchpin at Gettysburg, had believed that removal of elements from the original Lutheran Confessions would make Lutheranism “more comfortable” for those on the frontier,” Krueger explained. LTSP was founded for several reasons. Gettysburg seemed remote and too expensive to access by some in Eastern Pennsylvania. There was a concern by founding professors to preserve the elements of the Confessions from the 1500s in the training of pastors. In an age today where seminaries covet financial support from donors, the new LTSP received initial gifts from sympathetic congregations of $70.50! From its earliest days, Krueger reminded, the school was concerned to be economical and ecumenical (students from all backgrounds were invited to study), and Philadelphia was celebrated as an ideal location for part-time student employment, field education, and mission points of service, as well as for its many libraries. However, Krueger noted, having a seminary in a major city had its critics, citing that such schools had failed in an urban setting. The critics also noted the many “temptations” found in larger cities, which could lure students away from their focus. In 1908, the seminary library had moved from the third floor of the Hagan Administrative Building to the new Krauth Memorial Library. In 1905 the school had graduated 600. Up to today, LTSP has graduated 5,058 leaders. Krueger advised LTSP’s new seminarians “we are here because of them” — the founders and early personnel of the once-fledgling seminary. In his presentation entitled “Scola Transplantanda,” Krueger advised that the transplanted seminary had “never been exact in its transplantation. The school has always been evolving and changing.” It continues to represent “God’s Work, Our Hands,” he said. 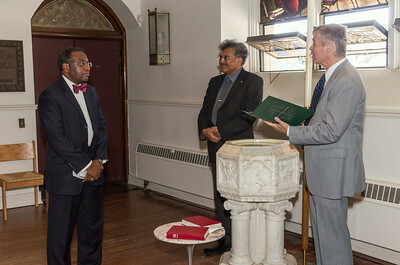 Dean J. Jayakiran Sebastian introduced Krueger as the seminary’s “keeper of memory” dating to its long and deep antecedents in Germany as well as North America. On opening day the seminary reported a total of 305 students on the rolls, according to Registrar René Diemer. The enrollment that day included 114 students studying for the MDiv, 20 of whom are new this fall. There are 19 studying for the Master of Arts in Religion (MAR), one of whom is new this fall, and 16 enrolled in the Master of Arts in Public Leadership (MAPL) degree program, eight of whom are new this fall. The school has 20 PhD scholars, three of whom are new this fall, 60 DMin students, five of whom are new this fall, and 39 studying for the Master of Sacred Theology degree, two of whom are new this fall. The remaining students on the rolls are an assortment of Affiliated Students, post-MDiv interns, continuing education students, auditors, and Special/Certificate students. During the 6:00 pm worship service on Tuesday, August 26, new students and their families were welcomed to the campus. Participating in the ceremony were Matthew O’Rear, Associate Director of Admissions; Marlita Lee, Administrative Assistant for Admissions; Don Johnson, Vice President for Student Development; President Lose; the Rev. Dr. J. Jayakiran Sebastian, Dean, and Justin Lingenfelter, Student Body President. Providing student leadership during the worship were Rebecca Wicker and Jeremiah Smith, sacristans, and Lisa Thomas, musician. Receiving tenure this year is the Rev. Dr. Wayne E. Croft, Jeremiah A. Wright, Sr. Associate Professor of Homiletics and Liturgics in African American Studies. 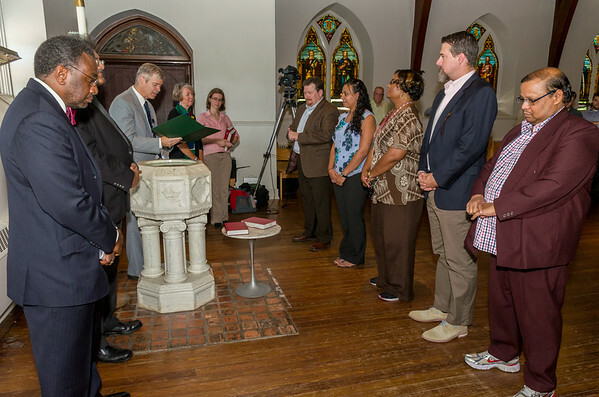 Croft was recognized and installed during the Wednesday, August 27, service of Holy Communion, at which Lose preached. Recognized and installed at the same service was Dr. K. Jesurathnam, Visiting Professor in Biblical Studies (Old Testament), who is part of an exchange program with the United Theological College in Bangalore, India (A Baptist, Jesurathnam has a one-semester appointment.) Also installed was a Visiting Assistant Professor in Ethics, Dr. Derek Woodard-Lehman, a post-doctoral Louisville Fellow, who will serve on the faculty for two years. (Woodard-Lehman is a Presbyterian.) New staff members installed at the service were the Rev. David Jordon, Director of the seminary’s new MDiv Co-op initiative; Marian Nowar, Business Office Manager, and Marita Lee, Administrative Assistant of Admissions. This story was originally published in the online Back to School Edition of PS Portions, the seminary’s enewsletter. The seminary builds its first building. We are thankful for your support — above and beyond your annual gifts — of The Lutheran Theological Seminary at Philadelphia’s (LTSP) 150th Anniversary Campaign, recognizing this historic moment with gifts that will sustain LTSP’s ability to provide student scholarship and enhance our resources for strengthening the mission of the seminary. Learn more here. This site is going to continue to grow! More content will be added on a regular basis through the anniversary year. To get periodic email notices when new content is added, click here.